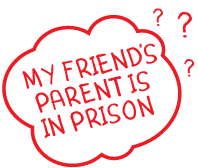 My parent is in prison. 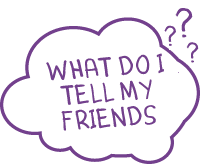 What do I tell my friends? Click the info bubble. My friend's parent is in prison. What do I do? Click the info bubble. Other children have parents in prison.